October 24th-26th 2005 in Novosibirsk State University a meeting of Russian top Universities engaged in training of personnel for practical and academic Korean studies use was held. The following participants took part in the event: representatives of Far Eastern Federal University (Igor Tolstokulakov), Irkutsk State University (Ekaterina Skvortsova), Novosibirsk State University (Sergei Alkin), Saint Petersburg State University (Sergey Kurbanov) and Lomonosov Moscow State University (Pavel Leshakov). The purpose of the meeting was to discuss a current status of academic Korean studies in Russia, its problems and cooperation potential for Korean studies centers. The Russian Association of Universities majoring in Korean studies (RAUK) was established in the meeting at Irkutsk (2006). NSU was selected as a place for the first inception meeting because the Korean studies center, the newest among traditional universities was established in Novosibirsk by that time. Since 1997, the Korean language has been studied as a first foreign language at the Humanities Faculty of NSU. In the meantime, the first Korean language educational programs, Korean history core course and Korean ethnography specialized course for orientalists were prepared. It is worth mentioning that the Novosibirsk center for Korean studies holds a specific position. The Humanities Faculty of NSU has a strong relation to Institute of Archeology and Ethnography of the Russian Academy of Sciences Siberian Branch. Consequently, there is a possibility in the Novosibirsk scientific center to major in the problems of Korean history which study wasn`t popular by classical centers (Moscow, Saint Petersburg and Vladivostok), particularly in archeology, protohistory and ancient history of the Korean Peninsula population within the context of the Far Eastern civilization development. Despite the fact that there is a special purpose department in Institute of Archeology and Ethnography to study the problems of Korea, the members of this institute from the late 1960s onwards have widely used Korean materials in their researches of Ancient and Medieval history for analyzing the problems of development of ancient and middle-aged cultures of the Russian Far East and cross-border region of Northeast China. In 1970s-1980s, the DPRK archeologists’ cooperation was established. Since 1990s, the Korean Peninsula researchers` cooperation has been developed. Several archeologists from the Republic of Korea completed training in Institute of Archeology and Ethnography, three among them earned PH.D. in History and are working for the Korean leading universities. Korean-Russian joint archeological projects on ancientry in the Russian Far East and the South part of Korean Peninsula are implemented. February 2004, the NSU Korean Center was established with support from the NSU administration and Embassy of the Republic of Korea to develop cultural and educational relations. Since autumn 2005, the Test of Proficiency in Korean (TOPIK) is conducted at the premises of the NSU Korean Center. March 2008, due to development of RAUK programs at the Humanities Faculty of NSU, a new structural R&D (Research & Development) subdivision - the Center of Korean studies was established to strengthen scientific education. Teaching Stipend program to support Russian association of Korean language professors (from 2006). By means of systematic training of the Humanities Faculty graduates, teaching personnel in Korean specialization profile was increased. A number of innovative education programs to teach the Korean language (incl. the course “The Korean language for archeologists”), literature, ethnography, archeology, geography, historiography, Korean source study etc. was developed in the NSU Oriental Department. Fellowship for Graduate Studies Program (from 2007). All in all 28 students got fellowship, some of them over several years. In 2007 and 2010 NSU under the guidance of RAUK conducted regional conferences for students and young scientists “The history and culture of Korea” that was participated by students, graduates and professors from Siberia and Russian Far East. Conferences held in Novosibirsk opened doors for many young researchers. 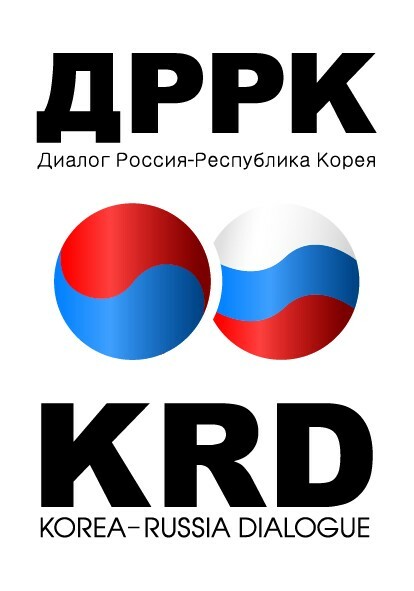 Since 2007, the NSU young professors have been actively involved in All-Russian workshops for the Korean language teachers conducted by RAUK and devoted to methodology problems of Korean teaching in the Russian institutions of higher education. On a regular basis, the NSU students and graduates participate in All-Russian and regional conferences. In addition, the NSU International Scientific Student Conference holds a specific place; students of Korean studies – Philology and Korean studies – History can present and publish their research results. Course of Lectures Visiting Professor (from 2007). The following Russian and European visiting specialists in Korean Studies delivered lecturers and specialized courses for the NSU students: Tatiana Simbirtseva, Sergei Kurbanov, Vladimir Tikhonov, Pavel Leshakov, Yulia Boltach, Elena Kondratieva, Konstantin Asmolov, Denis Samsonov, Valery Sukhinin, Li San Youn, Inna Choi, Mikhail Ten, Ekaterina Pokholkova etc. Thanks to this opportunity, the NSU students and professors can learn the newest results of leading scientist and specialist in Korean studies that increases proficiency of personnel and training degree of students. Over the last decade, the average number of NSU students studying the Korean language of various study courses has amounted at 40-50 people. Annually, approximately ten graduation theses in archeological study of the Korean Peninsula, history, language and literature, traditional and contemporary of the Republic of Korea culture are defended. The NSU Humanities Faculty graduates majoring in Korean studies continue their professional training in MA and PhD programs in Russia, Korea and Europe. Five graduates thereof prepared and defended PhD theses in Russia and Korea. The NSU graduates are teaching the Korean language and other subjects connected with Korean studies in their alma mater, institutions of higher education of Moscow, Novosibirsk and Tomsk.